(1) Visvam - He whose manifestation is the whole universe of forms: the Viraat-Purusha. The cause is always present in the effects and as such That Form from which the whole universe has emerged out can only be its own manifestation. The whole cosmos of gross forms is His own expression, and therefore, He is called as Viraatpurusha. ‘Sa eva Sarva- Bhootaatmaa Visvaroopo Yato-Avyayah’. The Sanskrit term Visvam comes from the root Vis, to enter: Thus it means He who has created and entered into the entire universe, as the All-Pervading Reality. It can also mean, That into which the entire universe has entered to remain therein established. In the Upanishads also we have assertions of similar ideas. It is only when intellectually, we view the Lord that we come to recognise Him as the ‘cause’ for the universe. When viewed through contemplation, since the effect is nothing other than the cause, there can be no world other than Him. In fact, there is nothing other than the Supreme. In the Mandukya Upanishad we read ‘Omkaara Evedam Sarvam’. In Geeta ‘OM ltyekaaksharam Brahma’. (2) Vishnuh -The term Vishnu is dissolved as Veveshti Vyaapnoti iti Vishnuh-That which pervades everywhere is Vishnu. That which has the nature of pervasiveness is Vishnu. He is the one who pervades all and nothing ever pervades Him. ‘Eesaavaasyam Idam Sarvam’-All this is indwelt, pervaded by the Lord. This very same idea is described in the typical style of the Puranas, in the incarnation of the Lord as Vaamana, the short-boy (Vamana), who, with His three feet, measured the entire universe. Because of this act, the Lord got the name Vishnu, says Mahaabhaarata. Vishnu Purana (3-1) says: The root Vis means ‘to enter’. The entire world of things and beings is pervaded by Him and the Upanishad emphatically insists in its mantra ‘whatever that is there is the world of change’. Hence it means that He is not limited by space (Desa), time (Kaala) or substance (Vastu). (3) Vashatkaarah - ln the ritualistic portion of the Vedas we find many mantras ending with ‘vashat’ and they are used in pouring devoted and dedicated oblations. Thus the term Vashatkaara means: He who is invoked, and for propitiating whom, the oblations are poured in Vedic ritualism, using mantras ending with vashat. Also Vashatkaara can mean yajna in its association and thus the term in its suggestion can signify ‘He who is of the form of the Yajna’. In the Upanishads also we find this meaning endorsed when the Upanishad mantra says: “Yajno vai Vishnuh” - Yajna itself is Vishnu. (4) Bhoota-bhavya-bhavat-prabhuh - He who is the Lord (Prabhu) of the Past (Bhooita), the Future (Bhavya) and the Present (Bhavat). Time is the concept of the intellect; it expresses itself in the interval between experiences. Experiences are registered as thoughts and thoughts are ever changing. This very change is known and experienced by us. The knower of the change must be something other than the change. Thus, He who is the Illuminator of all changes, meaning the Consciousness (Aatman) is the Lord Vishnu. He is the One who is not conditioned by time. (b) One who annihilates all creatures (Bhootaani Krindati iti Bhoota-krit). In both these cases, Brahman, the Supreme is the One Reality that seems to function as the Creator, Sustainer or Destroyer, when He functions through different gunas in the Total-Mind. Functioning through a preponderance in Rajoguna, He becomes the ‘Creator’; through Sattvaguna the ‘Sustainer’, and through Tamoguna, He Himself expresses as the ‘Destroyer’. Extra comments: Subjectively, the Atman functioning through my own mind and intellect is I, the individuality. My personality entirely depends upon the quality and texture of my own thoughts. I myself become according to the moods of my mind the creator, sustainer and annihilator of my world of experiences. He who manifests and functions, in these three aspects, is the Supreme Vishnu. (6) Bhoota-Bhrit -One who nurtures ("brith") and nourishes all beings (living creatures: "bhoota") in all their attitudes is this Great Reality and, therefore, He is called as the Bhoota Bhrit. In Geeta there is an elaborate description of this idea in the l5th Chapter where the Lord points out how, He, as the light in the sun, fertility in the earth, growth in the plants, nourishment in food, heat in fire, -becomes Himself the ‘eater’, and, therefore, how He Himself presides over all the functions of the body and mind, and apparently nurtures and nourishes the creatures, who are in fact nothing other than Himself. (7) Bhaavah -One who ‘becomes’ (Bhavati iti Bhaavah) Himself into the movable and the Immovable beings and things in the world. He is the Pure Existence in all the sentient organisms and the insentient objects in the universe. Hence He is indicated by the term Bhaavah. ( Bhootaatmaa -He is the Aatman (soul) of all the beings ("bhoota"): The very ‘Be’ in the living beings. Just as the same universal space manifests in all rooms as the room-space, so the Infinite Life manifesting through any given vehicle is called the Aatman of the vehicle. It is well known that space everywhere is one and the same; so too, the One Reality sports as though different Aatmans. This One Universal Soul is called in Vedanta the Supreme Brahman (Para-Brahman) .In Bhaagavata, the Lord is addressed as “You are the One Self in all living creatures ever illumining all their experiences.’’ In Kathopanishad: “The One enchanting Truth that revels in every form manifesting in plurality”. (9) Bhoota-Bhaavanah -One who creates and multiplies the creatures; meaning the One, who is the cause for the birth and who is responsible for the growth of all living creatures. 10) Poota-Atmaa -One with an extremely Pure (Pootam) Essence; One who is not affected the least by the impurities of Maayaa. The Self is beyond all vaasanaas and, therefore, He cannot be affected by anyone of the manifestations of Maayaa such as thoughts of the intellect, emotions of the mind or the perceptions of the body. Immaculate is ever the Self, and so He is termed as the Pure Self (Poota-Aatmaa). (11) Parama-atmaa -The Supreme, meaning that which transcends all limitations and imperfections of matter: in short, the Transcendental Reality. The Spirit is other than matter, and that in its presence, the vestures of matter, borrowing their dynamism from Him, play their parts rhythmically at all times. This has been the assertion found chorusly repeated in all the Upanishads and in the entire Vedantic literature. Sankara in Aatma Bodha points out that the Self is other than the three bodies and that He functions in the microcosm as a king in the nation. It was also said therein that matter borrows its energy from the Spirit and continues its activity “as the world from the Sun”. (12) Muktaanaam paramaa gatih -He who is the final Goal ("parama gathi"), that is reached by all the liberated souls ("mukta"). The limitations and bondages lived through by man are in fact the destiny of the matter vestures. Through delusion of non-understanding, we identify with them and come to suffer the consequent sense of imperfections. To liberate ourselves from the thraldom of matter is to realize the Self. Hence the Truth is defined as the Supreme Goal of the emancipated. “O Son of Kunti, having reached Me, there shall be no more any re-birth”. Again, He defines the final Goal as “That having reached no return again” – Geeta Ch. 15, st.4. (13) Avyaah –“Vyaya” means destruction; destruction cannot be without change; therefore, that which is “without destruction” (Avyayah) is the changeless. The Indestructible, and therefore, changeless, can never have any modifications (Parinaama). For, modification is but the death of a previous condition and the birth of a new condition. The Eternal and the Immutable (Avyayah) is the Supreme Sat-chit- aananda, and every other thing and being come under the hammer or change. The medium in which all these changes are sustained is Brahman, the Immutable. The Upanishads glorify Him as “Ajaro Amaro Avyayah”-without old age, death or change. (14) Purushah -One who dwells in the Fort-city (Puri sete iti Purushah). Herein metaphorically the Rishis conceive our body as a fortress with nine gate-ways-“Nava Dvaarc Pure Dehee”-(Geeta Ch. 5, St. 13) -and declare the One who rules within it, like a king, is the Self. “One who completes and fulfils the Existence everywhere”, meaning, without whom Existence is impossible (Poorayati iti Purushah). This Aatman remains in the bodies of living creatures as their individuality (Jeeva) and in all the activities, physical, mental and intellectual, Aatman is not in fact involved but He is therein only an observer of all that is happening. This will become clear in the following discussion. (15) Saakshee -Witness. In every day life he is a witness who without any mental reservation or personal interest observes and watches what is happening in a given field of experience. “Saakshaad Drashtari Saakshee syaad-Amarakosa. “The ‘Knower’ in every bosom is the same Supreme Self”, says Lord Krishna (Geeta Ch. 13, St. 3). Though thus Consciousness illumines everything, It is only a Witness, as It knows no change. Just as the sun illumines every thing in the world and yet the Sun is not affected by the condition of the things it is illumining, so too Vishnu, the Supreme, illumines all, without Itself undergoing any change. According to Paanini Sutras the word Saakshee is derived from “Sa +akshi”, meaning “direct perceiver”. (16) Kshetrajnah -One who knows the body and all the experiences from within the body, is the Knower-of-the- field, Kshetrajnah. As Brahmapurana would put it: Bodies are ‘fields’ and the Atman illumines them all without an effort, and therefore, is called Knower-of-the-field, Kshetrajnah”. (17) Aksharah -lndestructible: things which are finite are necessarily conditioned by time and space; the Infinite is unconditioned, and so It is Aksharah. Since It is Indestructible, It cannot come under the methods of universal destruction arising from nature or through the wilful actions of man. “It cannot be cleaved by instruments of destruction, nor can fire burn It, nor water drench It, nor air dry It”-(Geeta Ch. 2, St. 23). It is also indicated that the Supreme Brahman is the Akshara-“Aksharam Brahma Paramam” -(Geeta Ch. 8, St. 3). (18) Yogah -The one who is to be known or realized through yoga. By withdrawing the sense organs from their objects of preoccupation, when the mind of the seeker becomes quietened, he is lifted to a higher plane-of-consciousness, wherein he attains “yoga”, meaning wherein he realizes the Reality. At such moments of equanimity and mental quiet “yoga” is gained: Samatvam yoga uchyate- (Geeta Ch. 2, St. 48). Since He is experienced through Yoga He is known as Yogah. (19) Yoga-vidaam netaa –One who guides ("neta") all the activities of all men ‘who knows yoga’ (Yogaviti) .To all men of realization, He who is the Ideal, is the Supreme Lord. Just as our activities are today ordered by our selfishness and individuality, the Ideal that commands and orders all activities in the bosom of a Man of Realization is his God-Consciousness. This realm of experience is Mahaa Vishnu. In the Geeta also we find the same idea expressed, in the language of emotion, when the Lord says: “Those who contemplate upon Me with total dedication, their daily welfare and spiritual progress I shall bear”. (20) Pradhaana-purusha-eesvarah -Lord of both Pradhaana and Parusha. The term Pradhaana means ‘maayaa’-the total cause for the entire universe of forms. The term Purusha indicates the individuality in each one of us-the Jeeva. Lord Eesvara means the Master (Eeshte iti Eesvarah). The Lord of Maayaa and Jeeva means the one who makes both these possible to exist and function. The One Infinite Reality which Itself manifests as Maayaa, Jeeva and Eesvara is the Essence in Vishnu. (25) Sarvah -He who is the all. He being the One cause from which have sprung forth all things and beings. He himself is the all. In Mahabharata Udyoga Parva (70-12) we read: “As He is the origin and end of all, whether existent or otherwise, and as He, at all times, cognises all, He is called “Sarva”. All waves rise from the same ocean and, therefore, the ocean is the very essence in all waves. (26) Sharvah - The Auspicious One: meaning, the One who gives auspiciousness to those who hear of Him, to those who have a vision of Him, and to those who meditate upon Him. (27) Sivah -The One who is Eternally Pure. In Him can never be any contamination of the imperfection of Rajas and Tamas. ‘Non-apprehension of Reality’ is Tamas and ‘misapprehensions of Reality’ constitute the Rajas. In the Reality Itself there can be neither of them ‘He is Brahman; He is Siva’, so the Upanishad declares of the Absolute Oneness, which is Vishnu. (28) Sthaanuh -Generally this term Sthaanuh is used for the permanent pillars that mark the frontiers of a country. They are permanent, immovable, fixed. The Truth, that remains thus firm and motionless, without movement, permanently established in Its own Realm of Purity, is called by the term Sthaanuh-the Pillar. “Eternal, All-Pervading, the Pillar, Motionless (is) this Ancient One,” so says Geeta Ch. 2, 24. (29) Bhootaadih - The very cause ("aadi") for the five great elements: Space, Air, Fire, Water and Earth. (30) Avyayah Nidhih -The Imperishable treasure. The term Nidhi means ‘that in which precious things are stored away or preserved secretly’: (Nidheeyate Asmin iti Nidhih). Therefore, He who is the substratum-container-for the entire universe is the Nidhi. During the dissolution (sleep) the One into Whom all things go to lie merged therein temporarily, till the next projection or creation (waking), as this Immutable Treasure Chest-the Vishnu. Here ‘unchangeable’ (Avyaya) is qualifying ‘Nidhi’. (21) Naarasimha-vapuh - One whose form ("vapuh") is half human ("nara") and half lion ("simha").This is the famous fourth incarnation of Lord Vishnu which He took in order to destroy the atheistic tyrant Hiranyakasipu and bless his devotee, Prahlaada. (22) Sreemaan - One who is always with ("maan") Sree. Mother Sree is Mother Lakshmi. In the Puranic terminology Lakshmi stands for all powers, all faculties. The total manifested power potential in the Omnipotent is Lakshmi. These powers are ever in Him and therefore, He is the Sreemaan. (23) Keshavah - He who has beautiful and graceful (Va) locks of hair (Kesa) is familiar as in Lord Krishna’s form. Or, it can also mean, one who destroyed ("vah") the demon Kesin who was sent to destroy the child-Krishna by his uncle Kamsa This interpretation is endorsed by the Vishnu Purana, 5.16.23. (24) Purushottamah - The constitution of the individuality, Jeeva, when analysed, we find that it is made up of both the perishable-matter and the Imperishable-Spirit. The Spirit expressing through matter is the individuality, Jeeva. Reflected moon is the moon of the heavens dancing on the surface of water. Just as the moon is something different from its reflections and the water surfaces, so too the Self is, in its transcendental nature, something different from both matter, the perishable, and Spirit, the Imperishable, ever playing in matter. This Transcendental Truth is indicated by the term the Supreme Purusha (Purusha-uttama). (25) Sarvah - He who is the all. He being the One cause from which have sprung forth all things and beings. He himself is the all. In Mahabharata Udyoga Parva (70-12) we read: “As He is the origin and end of all, whether existent or otherwise, and as He, at all times, cognises all, He is called “Sarva”. All waves rise from the same ocean and, therefore, the ocean is the very essence in all waves. 26) Sharvah - The Auspicious One: meaning, the One who gives auspiciousness to those who hear of Him, to those who have a vision of Him, and to those who meditate upon Him. (28) Sthaanuh - Generally this term Sthaanuh is used for the permanent pillars that mark the frontiers of a country. They are permanent, immovable, fixed. The Truth, that remains thus firm and motionless, without movement, permanently established in Its own Realm of Purity, is called by the term Sthaanuh-the Pillar. “Eternal, All-Pervading, the Pillar, Motionless (is) this Ancient One,” so says Geeta Ch. 2, 24. (32) Bhaavanah - To do Bhaavana is to give: One who gives everything to His devotees is Bhaavanah. The Lord is One who gives both joy and sorrow to each one according to his deserts. In the case of humanity it is He again who destroys the evil and blesses the good. (33) Bhartaa -The One who ‘Governs’ the entire living world. Governing includes protecting the world from all harms and serving it positively with progress and joy. One who does these to all creatures at all times is Vishnu-the great Bhartaa. (34) Prabhavah - The One who is the very womb of all the Five Great Elements. It is That from which even the very concepts of time and space have sprung from. (35) Prabhuh -The Almighty Lord. He who is the All-Powerful. He who has the supreme freedom to do (Kartum), not to do (Akartum), or to do quite differently from what He had already done (Anyathaa Kartum) is considered as the Prabhuh. (36) Eesvarah -One who has the ability to do anything without the help of other beings or things is called Eesvara. (37) Svayambhooh -The one who manifests Himself from Himself is considered as self-made. Everything born or produced must have a cause. The Supreme is the cause from which all effects arise, and Itself has no cause. This un- caused Cause-of-all, this Ultimate Cause, with reference to which every thing else is considered as ‘effects’ is in itself the Absolute Cause. This idea is indicated by the term Self-made (Svayambhooh). (38) Shambhuh -He who brings Auspiciousness- both inner goodness and outer prosperity to His devotees. Sambhuh is one of the famous names of Lord Siva. By using this term in invoking Vishnu, by its suggestion, it declares that Vishnu and Siva are not two Divine Entities, but they are both manifestations of the One Essential Reality. (39) Aadityah- The Truth (Purusha) that glows with a golden splendour in the solar system is called Aadityah. There are twelve Aadityas and of them One is called Vishnu. Krishna Himself declares, ‘I am Vishnu among the Aadityas’ -Aadityaanaam Aham Vishnuh- (Geeta Ch. 10, St. 21). The word Aaditya can mean ‘Son of Aditi’-signifying the one who was born as the son of Aditi in His Vaamana incarnation. The term Aadityah can also mean in Sanskrit ‘One who is like the sun’. The Sun is the one who illumines all, and every living creature draws its nurture and nourishment directly or indirectly always from the sun alone. In the same way Brahman is the one Sun in the universe of living creatures illumining all experiences of all creatures. (40) Pushkaraakshah - One who has eyes ("akshah") like the lotus ("pushkara"). Joy and Peace in the bosom of an individual are expressed in the world outside at no other point so vividly as in the eyes. The One, whose inner peace and joy, beaming out through His eyes, bring into the devoted hearts all the aesthetic beauty and romantic thrills of seeing a lotus dancing in the breeze, In short, the term indicates the Lord who with His beautiful looks, magically lifts all the sorrows in the devotee’s heart and fills it with Peace, Joy and Perfection. (41) Mahaasvanah- One who possesses thundering ("mahaa") voice of compulsion: "Svana" means ‘sound’. One whose ‘call’ is thundered in all hearts, familiarly known as the ‘compelling whisper’ of the Higher. Or, Svanam can also mean ‘breath’; and so, the term can mean, ‘He whose great breath is the very Vedas’. “Thus, O Maitreyee, this has been breathed forth from this great Being what we have as Rigveda. Yajurveda” -Brihadaaranyaka Upanishad (4.4.10). In the Spiritual literature of India we often read Vedas described as His breath; He breathed out the Vedas (Nih-svasitam). (42) Anaadi-nidhanah –One who has neither ("an") birth (Aadi) nor death (Nidhanum). Thus One who is changeless is Anaadi-Nidhanam; for, any change should include the death of an old condition and the birth of newer condition. To the Immortal and the Immutable, change is impossible. (43) Dhaataa- One who is the Substratum for the world of names and forms. And who supports all fields of experiences in all. He who is the screen for the cinema of empirical experiences’ (Visvam). (44) Vidhaataa -The One who is the Dispenser of all ‘fruits-of-actions’. In the Karma-kaanda portion of the Vedas, Eesvara is described as the Dispenser of fruit (Karma- phala-daataa Eesvarah). He is the Lord who is behind this universe of scientific truths and rhythm. He is the One who has not only ordered the laws of the nature, but he is the one afraid of whom, the phenomena dare not disobey his laws anywhere at any time. The light of the sun, the heart is the fire, the sweetness in the sugar, the pains in the sin and the joy s in goodness, are all their ‘nature’ and none dare ever disobey these laws. The one who is thus the unquestionable law behind the entire universe of laws is Vidhaata. (45) Dhaatur-uttamah –the fundamentals ("dhaatu") that form the reinforcement on any existent thing are called Dhaatu. In science of life, as explored by the Rishis, all corporal forms have risen form and exist as composed of some definite ‘elemental factor’ called the Dhaatus. Of the end less varieties of Dhaatus available in existence, the subtlest Dhaatu, without which no existence, is ever possible, is the chit Dhaatu, and this is the Dhaatu-ruttamah. Though very rarely, we do find some commentators splitting this word into two as Dhaatu and uttama. But in the majority of the cases we find it taken to form one term and explained as ‘the subtlest of the Dhaatus’. Thanks Subhadra dear nice to join me. It is really helpful of you. Its good idea! Morning I will post 5 names and in the evening you post 5 names. Thanks once again! Saathi Haath Badana, Saathi Haath Badana, Ek Akela Thak Jayega Milkar Bhoj Uthana. Saathi Haat Badana Saathi Re. (46) Aprameyah – He, who cannot be defined and explained in terms of any logical term of reference with other things should necessarily be inexpressible. A thing that can be directly perceived (Pratyaksha) can be desired, certain other things, which we may not directly perceive, but can be infer (anumaama) them from data available. And there are yet things which can be brought home to the listener by describing them in terms of similar other objects (Upamaa). Since the infinite has no ‘Properties’. It cannot be perceived, nor can It be “understood through inference.” Nor even explained in terms of similar or dissimilar things.” Hence the supreme Reality, Vishnu, is called as Aprameyah. We can experience him only by ending all sense of separativeness and becoming one with Him. (47) Hrisheekesah –In the Puranic literature the meaning of the term is ‘close-cropped’ or ‘One who has coiled up his locks of hair’ (Hrissheeka+Eesa). The term ‘Hrisheeka’ is an absolute one now, and it means the “sense organs”. The Aatman, the self as Consciousness is the one who gives light to all sense organs and, therefore, it is the lord of all sense organs. This lord is Vishnu. The obsolete word Hrisheeka also means the ‘rays’ or that which gives the joy’. Thus the term Hrisheekas can mean “the Lord of the rays”: the sun and moon. This way interpreted, commentators point out that the term Hrisheekesah means He who has Himself becomes the Sun and the Moon. In His manifestation as the Sun and the Moon, the Lord Himself whips the world to wakeful activities and sends the world to sleep and rest. Thus Hrisheekesa in its deeper significance, is, to all contemplative hearts, the Lord, who becomes Himself the world, exhausts Himself in His activities, and ultimately packs His toys and goes to rest at the time of dissolution. (48) Padmanaabhah – One from whose navel ("nabhi") springs the Lotus ("padma"), which is the seat of the four-faced Creator, Brahmaaji. Lotus in Hinduism represents Truth or any of Its manifested powers. The creative faculties in man flow from the navel area (center: naabhi), and manifests as the ‘four-faced’ inner equipment (Antahkarana) constituted of the mind, intellect, Chit and ego. In the Yoga-sastras, we find a lot of details regarding this concept. According to them every “idea” springs from Him (Paraa), and then at the navel area, each of them comes to be ‘perceived’ (Pasyantee). Thereafter they play in the bosom as thoughts (Madhayamaa), and at last they are expressed (Vaikharee) in the outer fields-of –activity. In this discussion-upon the evolutionary stages through which every “idea” becomes an “action” – we gather a clearer insight into the meaning of the symbolism of “the Creator seated on the lotus”, which springs forth from the navel of the Lord, the Supreme Vishnu. (49) Amaraprabhuh -The Lord ("prabhu") of the Immortals ("a-mara"), the Devas. The Denizens of the Heavens, including all the office bearers therein (Dikpaalakas etc.) along with Indra, are called ‘Devas’, and they enjoy in their heavenly state a relative immortality. The devas live and continue functioning till the great dissolution-the Sleep of the Creator. Compared with the short span of the existence of man on this globe, the aeons through which the Devas live can be considered as end- less or immortal. One who serves them with His might, giving protection and security to all creatures, is called, therefore, Amaraprabhuh. (50) Visvakarmaa -The very creator-of the world-of-objects, of all equipments-of-experiences, and of all experiences in all bosom-is called the Visva-Karmaa. Herein the Infinite Lord is but a Witness of all that is happening and though the experienced world is sustained in Him, He is not involved in the imperfections or mortality, that are happening all around at all times in the Visvam. “They are in Me, I am not in them”-Geeta. (50) Visvakarmaa - The very creator-of the world-of-objects, of all equipments-of-experiences, and of all experiences in all bosom-is called the Visva-Karmaa. Herein the Infinite Lord is but a Witness of all that is happening and though the experienced world is sustained in Him, He is not involved in the imperfections or mortality, that are happening all around at all times in the Visvam. “They are in Me, I am not in them”-Geeta. (51) Manuh - The term means One who has the ability to reflect upon the Higher (Mananaseelah Manuh). Manu also means mantra and so, as applied to the Lord, it can mean as the One who has manifested Himself in the form of the Vedic mantras. 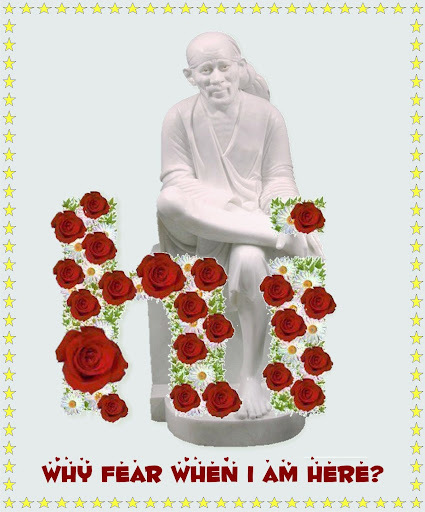 (52) Tvashtaa - One who makes gross things of huge dimensions into minutest particles. At the time of the world’s dissolution, the entire gross-world folds back into its subtler elements until at last pure objectless space alone comes to remain. (53) Sthavishthah - lt is the superlative degree of gross (sthoola) and thus ‘the Supremely gross’ is the subtlest Reality. The contradiction that it contains is itself its vigour and beauty. The Infinite as the subtlest is All-Pervading in Its own nature. It is this Maha- Vishnu who has Himself become the entire universe of gross things and beings. Just as all waves are the ocean, the total world of gross things is itself the form of Vishnu. In His cosmic form, Narayana had manifested to Arjuna in he Geeta. There the words of Arjuna’s chant will clearly bring home to us that the entire gross world is ever His own Divine form. (54) Sthaviro Dhruvah - The Ancient (Sthavirah) and the Motionless or firm (Dhruvah). He is called the ‘Ancient’ because the very first ‘unit of time’ itself had risen from Him. He was the progenitor of the very concept of Time in us. Therefore, ‘Time’ cannot condition Him. Thus He becomes the most Ancient. He is the ‘Firm Truth’; nothing that happens in the phenomenal world can affect Him at any time. (55) Agraahyah - That which cannot ("a") be perceived ("graahyah") through the play of the sense organs; in short, that which is not an ‘object’ of perception, but which is the very ‘subject’-who is the Perceiver in all that is perceived. The ‘subject’ can never become the ‘object’, and hence Truth is something that the sense organs cannot apprehend, as they do any other sense-objects. He is the one ‘subject’ ever-perceiving all objects, through all sense-organs of all living creatures, everywhere, at all times. The Lord is the ‘subject’, not only in the sense organs, but He is the “feeler” in the mind and the “thinker” in the intellect. And thus the sense organs cannot perceive It, nor the mind feel It, nor the intellect apprehend It; says the Upanishad, “That from which words retire unapproached along with the mind” is the Supreme. Hence He is Agraahya-Imperceptible and Incomprehensible. (56) Saasvatah -That which remains at all times the same is the Permanent, That which is permanent, should remain Changeless in all the three periods of time. In short, He is unconditioned by time. The Supreme Consciousness Itself is the very Illumminator of Time, and the Illuminator can never be affected by what It illumines. This changeless reality is Vishnu. (57) Krishnah -The word Krishna means in Sanskrit ‘the dark’. The Truth that is intellectually appreciated, but spiritually not apprehended, is considered as ‘veiled behind some darkness’. The root Krish means Existence (Sattaa) and na means Bliss (Aananda). So says Vyasa in Mahabharata, Udyoga Parva 70, 5. Therefore Krishna (Krish+na) means Existence- Bliss (Sattaa-Aananda). Thus, the very name divine, ‘Krishna’, represents the Supreme Paramaatman. In Mahabharata, we find Krishna explaining Himself to Arjuna ‘when the earth becomes shelled in by its hard crux I shall turn myself into an iron plough-share and shall plough the earth. Apart from the above meaning Krishna also means the Enchanter of all His devotees (Aakarshana). Truth is One which irresistibly attracts everybody towards Itself. Commentators have interpreted this significance in a more attractive context. They conclude that Krishna means One who sweeps away the sins in the heart of those who meditate upon Him. Truth has got a magnetism to attract to Itself all the ego and ego-centric passions of the individual. In this sense viewed, we need not consider Krishna as a deity of the farmyard in the agricultural estates. The Lord ploughs the hard stupidities in us and prepares the heart-field, weeding out all the poisonous growths of sin, and cultivates therein-pure Bliss which is of the nature of Reality. (58) Lohitaakshah -Red-eyed. Very often we find descriptions in the Puranas, where the Lord is explained as having eyes like the red-lotus (Hibiscus). Generally the ruddy eyes represent anger and the incarnations are taken for the purpose of destroying the evil and so His anger is towards the evil-minded materialists who live ignoring the higher values of life. (59) Pra-tarda-nah - The root Tarda means “destruction” and with the prefix Pro the root (Pra-tarda) means “supreme destruction”. One who does this total destruction (Pratardanah) is the Lord in the form of Rudra at the time of the great dissolution (Pralaya). (60) Prabhootah -The term means ‘born full’ or ‘ever-full’. He is ever-full and perfect in His Essential Nature, as the Transcendental Reality, or even when He manifests in the form of His various incarnations. Especially in His chief and glorious incarnation as Lord Krishna, He proved Himself to be ever full with His Omnipotency and Omnisciency. (61) Tri-kakub-dhaama - One who is the very foundation or support (Dhaama) of the three ("tri") quarters (Kakubh). We find this is generally commented upon and described as “all quarters, in the three realms above, below and middle.” Viewing this from the platform of Vedanta, He must be considered by us as the three Planes-of -Consciousness-the waking (Jaagrat), the dream (Svapna) and the deep-sleep (Sushupti) conditions. The fourth Plane-of-Consciousness (Tureeya) is the Substratum for all the other three planes. (62) Pavitram – One who gives purity to the heart. To the seekers who are meditating upon Him, He gives inner purity, and hence He is known as Pavitram. Or, the term Pavi means; the weapon vajra (thunderbolt). One who saves ("tram") his devotees from the thunderbolt of lndra is Pavitram. This can also be interpreted as the "giridhara" episode where the lord saves his devotees from Indra's wrath. (63) Param Mangalam - Mangalam is that which not only removes the dark pains of evil, but brings the bright joys of merit. Param Mangalam is Supreme Mangalam, and It can be none other than He, by whose mere remembrance all inauspiciousness gets lifted up and all Auspiciousness comes to flood our hearts The Upanishad declares. “May That Brahman-who removes all inauspiciousness in man and gives man all auspiciousness, by a mere remembrance of Him -give us all auspiciousness. 64) Eesaanah – “The Controller of all the five Great Elements”. When this term is used, Eesvara becomes the Administrator of His own Law in the phenomenal world of plurality. The executive function of His Infinite Will, when manifested through Him, the Lord. Eesvara, is said to function as Eesaanah. Or, the term can also mean One who is the Supreme Eesvara-the Paramesvara. (65) Praanadah - One who gives (Dadaati) the Praanas to all. The term Praanas used in philosophy indicated “all manifestations of Life in a living body”. The Source of Life from which all dynamic activities in the living organisms of the world flow out, meaning, That from which all activities emerge out is Praanadah.